There’s even a place for poetry in teen war novels. There is a place for beauty. War is personal, the saying goes. It’s the buckle and moil where the house used to be. It’s the shadow where once there was a friend. It’s the brother gone missing and the mother at risk. It is depravity, despotism, lies. But setting a fiction down within the countless corrugations of an actual, historical war is tricky stuff. Somehow or other, the rules must be made clear. Who is good and who is bad, and why? How did so much ugly stuff erupt from people not that different from you or me? What, exactly, are all those shades of gray? Clarity matters — of course it does. But if the facts are made to matter most—and often, it seems, facts are made to matter most—opportunities are lost. The books may teach, but will they inspire? Will teens choose to pass them on? Indeed, what makes a teen war novel worth reading is what makes any novel worthy and good: believable and empathetic characters, exquisite scene-making, credible and engaging dialogue, finesse, more than a little imagination. There’s even a place for poetry in teen war novels. There is a place for beauty. We may not be able to name every member of Hitler’s inner cabinet by the time we (sadly) close this book. We haven’t been force fed, textbook-style, the day’s headlines. But we know what it feels like to live within turmoil, and to lose people we love. We know what bravery is and why it matters. We know what genius is, in books. Trent Reedy, with Words in the Dust, a first novel that takes us into the heart of Afghanistan, also favors the domestic detail over the broad sweep of facts. His narrator, Zulaikha, lives modestly in the city of An Daral with her beautiful sister, her father and his second wife, brothers, and a deformity that causes her to cover her face and to lose hope in her own future. Here it isn’t the war we see, but the people behind the headlines—their everyday hopes and tragedies, and the Americans who intervene. Not long ago I met with 40 girls in a Catholic school to talk about reading and book love. 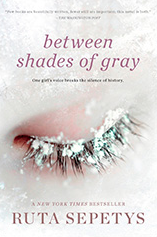 I had carried Ruta Sepetys’s international bestseller and already-classic novel Between Shades of Gray with me, hoping to entice these young readers toward this heartbreaking tale of the 1941 Soviet invasion of Lithuania. Turns out, I hadn’t needed to burden my bag; the girls had already found this book on their own. I wanted to know what they loved about the book. Their hands flew high. Beth Kephart’s fourteenth book, Small Damages, is set in a cortijo in southern Spain and recalls the Spanish Civil War. 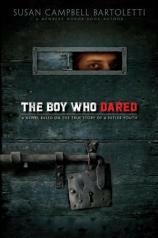 It has received two starred reviews and will be released from Philomel in July. 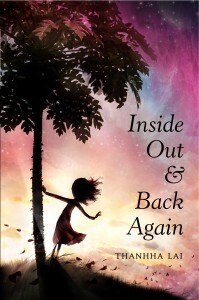 She blogs about books and life at http://beth-kephart.blogspot.com/. DISCUSS: When Do YA Novels Go Too Far, If Ever? Beth Kephart is the author of non-fiction, poetry and young adult fiction for adults and teens, including the National Book Award finalist, A Slant of Sun. She is also a writing partner in the marketing communications firm, Fusion Communications.